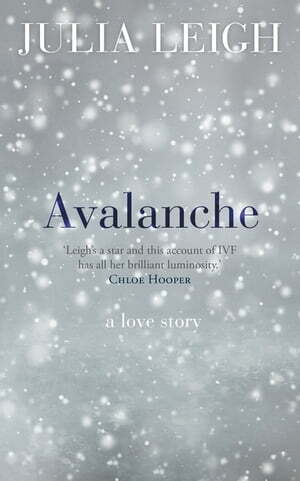 Collins Booksellers - Avalanche by Julia Leigh, 9781760142278. Buy this book online. At the age of 38 acclaimed novelist Julia Leigh made her first visit to the IVF clinic, full of hope. So started a long and costly journey of nightly injections, blood tests, surgeries and rituals. Writing in the immediate aftermath of her decision to stop treatment, Leigh lays bare the truths of her experience: the highs of hope and the depths of disappointment; the grip of yearning and desire; the toll on her relationships; the unexpected graces and moments of black humour. Along the way she navigates the science of IVF; copes with the impact of treatment; and reconciles the seductive promises of the worldwide multi-billion-dollar IVF industry with reality. Avalanche?is the book that's finally been written on IVF treatment: a courageous, compelling and ultimately wise account of a profoundly important and widespread experience. At the heart of this work is an exploration of who and how we love. It's a story we can all relate to - about the dreams we have, defeated or otherwise, for ourselves, our loves and relationships.